Escape into total relaxation and bliss with this phyto-aromatic body treatment sure to heighten up your senses and refresh your body and mind. A uniquely customized treatment experience that includes exfoliation, steam shower, body wrap and moisturizing cream application using Yon-ka's body skin care products. YonKa Body Skin Care line available in the spa for purchase. A sensual and aromatic face and body treatment that will send you to a deep relaxation as the Neroli oil candle light provides a calming ambiance and an orange blossom scent. This treatment includes a Yon-Ka Classique Facial and gentle body exfoliation and massage using green tea sea salts. The warmed essential oils and minerals from the candle are then trickled and gently massaged onto your skin. Neroli oil has restorative, anti-dehydrating and anti-aging properties. To end the treatment, hydrating body cream will be applied to lock in moisture. 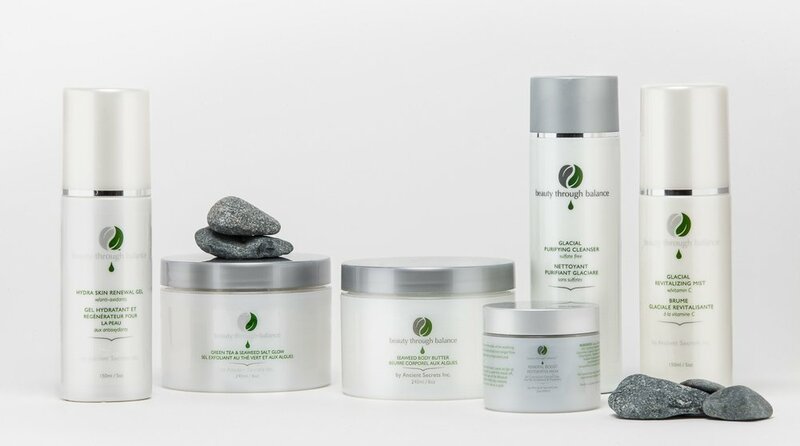 Experience the benefits of therapeutic products from Beauty through Balance® by Ancient Secrets with indigenous, holistic ingredients from the ocean, locally harvested from the BC Canadian Coast. Their products are harvested following ethical and sustainable practices. Detox, find internal balance, and re-hydrate. This body treatment not only brings you to utmost tranquility, it also helps remove toxins, relax muscles, improve circulation and reduce fluid retention while improving the skin's tone and texture. Incorporating oceanic elements, the treatments starts with a seaweed salt scrub and kelp water, then Pacific seaweed wrap is applied to areas of concern. Canadian glacial clay and Green Tea Spice Serum is applied and gently massaged onto the body, helping release muscle tension. Ending with the application of the non-greasy Pacific Seaweed Body Butter, you are sure to escape into the healing touch of calm waves and aroma of the sea breeze. An invigorating and detoxifying full body scrub to exfoliate and moisturize the skin with rich minerals from the ocean. The whole body is gently scrubbed and massaged with a green tea and seaweed salt exfoliator with kelp water, followed by a shower rinse. The treatment is ended with an application of the non-greasy Pacific Seaweed Body Butter that deeply nourishes and protects the skin, while leaving you smelling naturally divine. Enjoy that smooth and glowing skin!